Hybrid-Heating: Is It Worth It? The holidays might be over, but winter certainly is not. So, it is probably safe to assume that you will continue to run your furnace over the next few months. We understand that you depend heavily on your furnace to keep you warm and cozy during the winter, so the last thing that you would want is a faulty system on your hands. The best thing you can do for your furnace is to remain proactive and schedule repairs at the first indication of a problem. But, how do you know when your system needs repair? It is important to be aware of the signs that your system is malfunctioning in order to schedule prompt services. Below, we have outlined some of the most common symptoms of a troubled furnace. Keep reading below to learn more. Furnaces are inherently quiet. 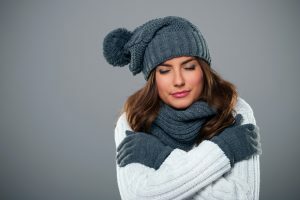 In fact, the only sound you should hear from your furnace is the soft whooshing of air rushing through the vents or the occasional sound of the system starting up. So, if you are hearing sounds such as screeching, banging, humming, or rattling, you need to call an HVAC technician right away. A blockage in the ducts or an issue with your fan or fan motor all have the ability to restrict airflow. This problem is pretty noticeable as there will be little to no air coming through your vents. This issue will force your furnace to run more, lowering efficiency and increasing the risk of further damage. Short cycling is an industry term used to describe when a heater consistently turns off and on rapidly throughout the day. This issue usually stems from low airflow, causing the internal temperature of the furnace to rise. When the furnace becomes too overheated, it shuts down as a safety precaution. Eventually, the system will start back up and repeat the process all over again. It takes a lot of energy to restart the heating system, so imagine just how much energy is wasted when it is constantly restarting. Your furnace’s primary responsibility is to keep your home warm and comfortable. So, if you’ve noticed a lack of heat, it is time to schedule your furnace repairs. A lack of heat can be the result of multiple different problems including clogged burners, a breach in the ducts, or a lack of fuel. When there is an issue with your furnace, it will become significantly less efficient. This is why it is important to pay close attention to your monthly heating bill. When your system is inefficient, you will begin paying a lot more for energy as your system has to work harder to circulate warm air throughout your home. Contact your local HVAC technician if you’ve noticed a rise in heating costs. If you need Westport, CT Furnace services, look no further than Celco Heating and Air Conditioning. Contact us today!